Wedge Wire Tubes or Slot tubes are composed of a variety of wedge wire configurations and constructed in a spiral shaped form where the support profile is wrapped spirally by the surface. Hebei HighTop Metal Mesh uses stainless steel grade of 304, 316 and 316L sourced out from well-known stainless steel manufacturing companies. The Radial Slot Execution special design works with filtration from inside to outside. The slot profile is welded with the broadest profile dimension farthest to the inside support bar. The inside working surface on the other hand is interrupted by the path of support bars that hold it together. The Radial Slot Execution standard design works in a reverse flow format where the slot tube’s filtration happens to be from outside to inside area. The surface profile is welded to the broadest profile dimension outermost to the inside support bars. The outer working surface is smooth. The Axial Slot Execution Special Design has filtration from inside towards outside. 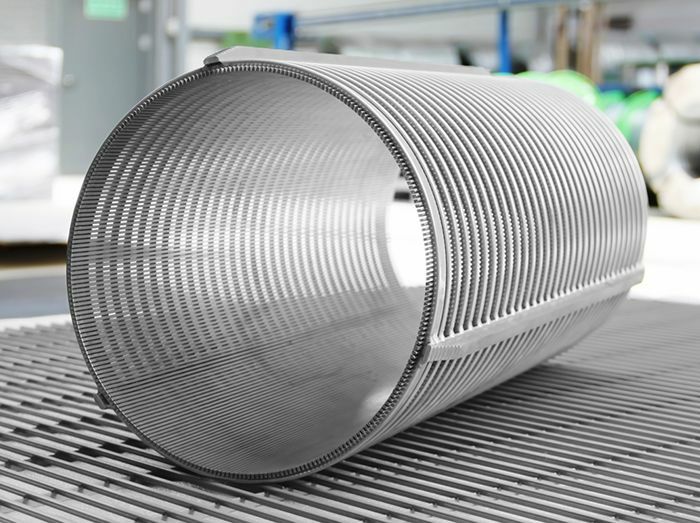 The slots’ profiles are formed equivalent to the measurement of the slot tube and the support wire wraps the outside of the tubes forming profiles that are then connected together via pressure welding. The inside working surface of the tube is smooth. Stop impurities/particles with its v-shaped construction.